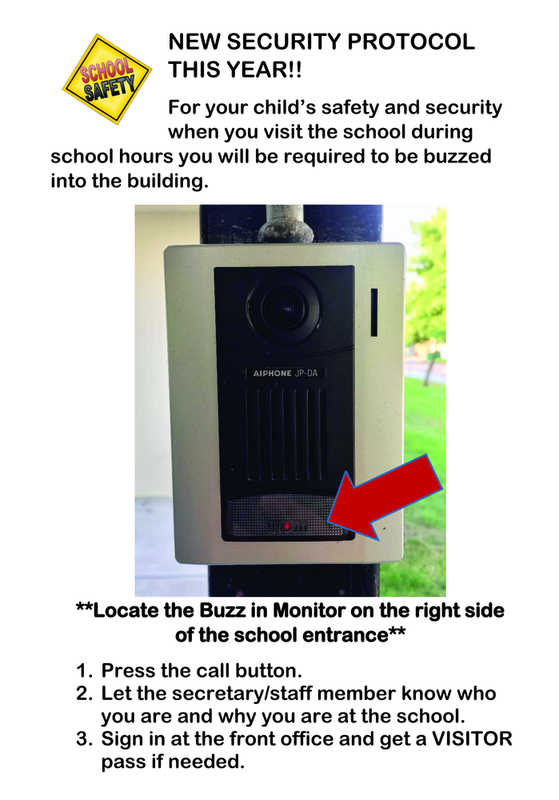 For your child’s safety and security when you visit the school during school hours you will be required to be buzzed into the building. Let the secretary/staff member know who you are and why you are at the school. Sign in at the front office and get a VISITOR pass if needed.